supports all devices, and is available in the Cloud or on your servers. Android and Windows phones and tablets. 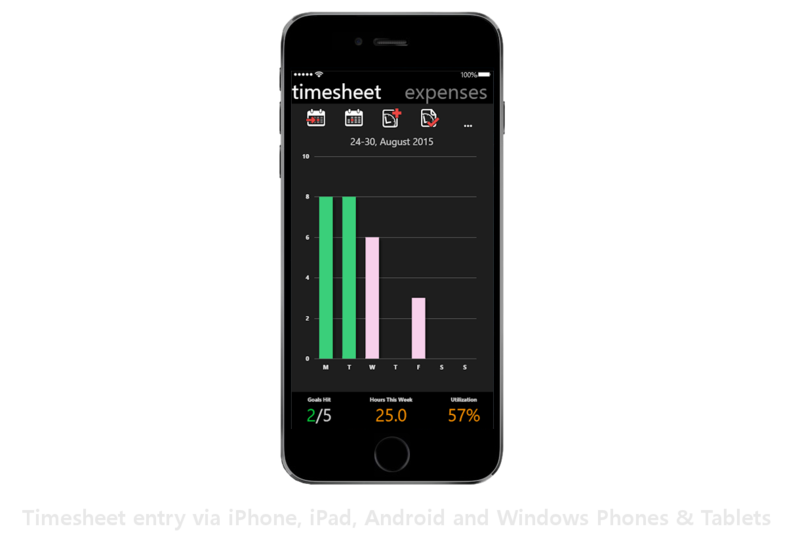 Intuitive, user friendly, responsive web timesheet software from Timewatch. Supports PCs, Macs, phones and tablets. Users can enter timesheets wherever they are. Saves time too. See our web timesheet demonstration for full details. Saves time as users enter timesheets. Track time from PCs, Smartphones, Tablets and Outlook. Timewatch® web timesheet software solutions are responsive. This means that our web timesheet supports all devices. PCs, Macs, phones and tablets. Web timesheet entry is so intuitive and easy to learn that no training is required. 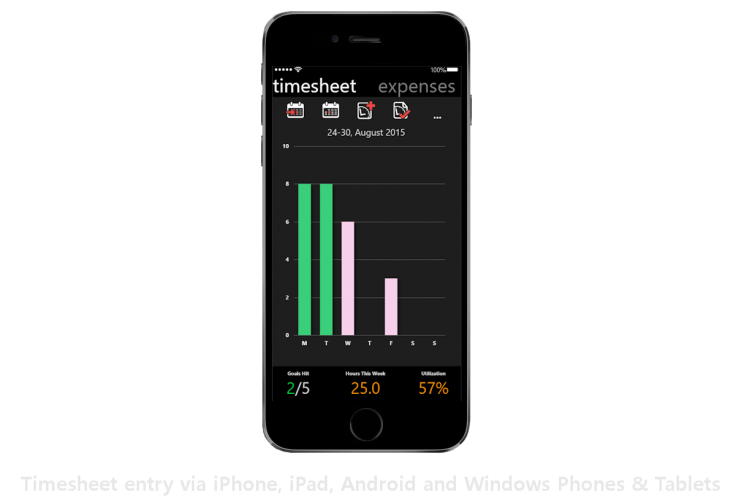 With time-saving features such as instant search, import from calendar, and post appointments and emails from Outlook, our timesheets typically save employees between one and three hours per week and pay for themselves in minutes. Easy manager approval and alerts save administrators even more time. And the perfect endorsement: our timesheet systems are so good, even our competitors use them! Runs on phones & tablets as well. Designed for speed and ease of use, our mobile apps are a beautiful fusion of reporting, analysis and data entry in one. Our designers replaced antiquated and slow grids and forms with interactive charts that are stunning in their simplicity and looks. Simply tap on a day in the week to drill to that day, tap Add to add time on that day, swipe left or right to go back or forwards. It’s that easy! Mobile apps are included with the Pro and Enterprise editions and support iPhone & iPad, Android and Windows Phones and tablets. 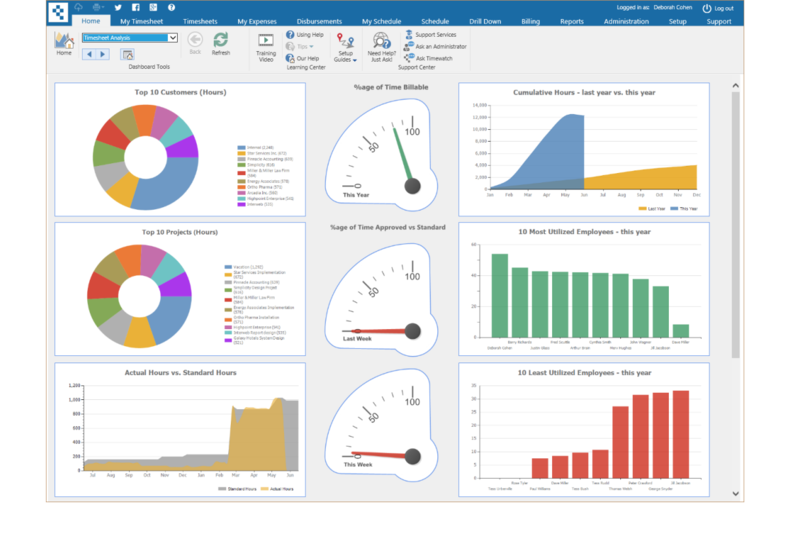 You’d be amazed at the horror stories we hear from customers of the reporting in systems we replace. We believe if you enter data, you should be able to view it however you want. 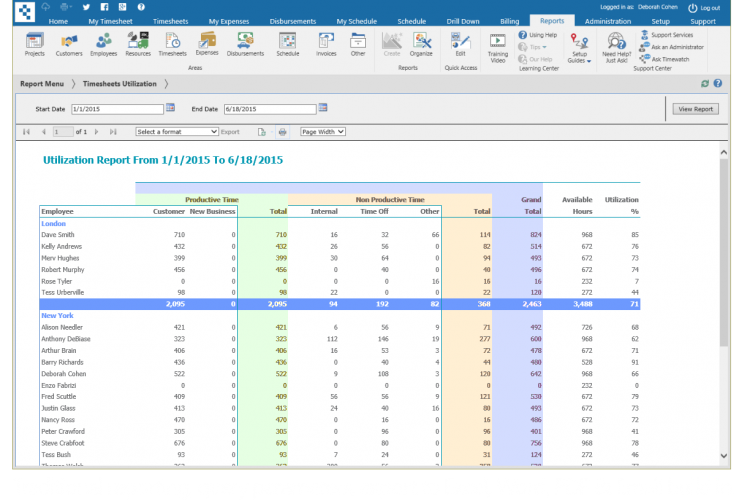 We’ve developed our reporting to be one of the most powerful features of Timewatch® products. 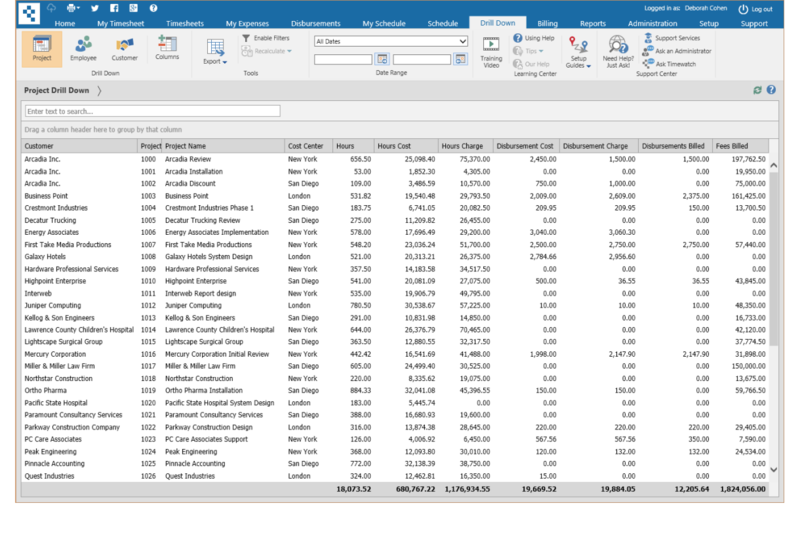 All of our products include traditional reporting with a library of reports and features. 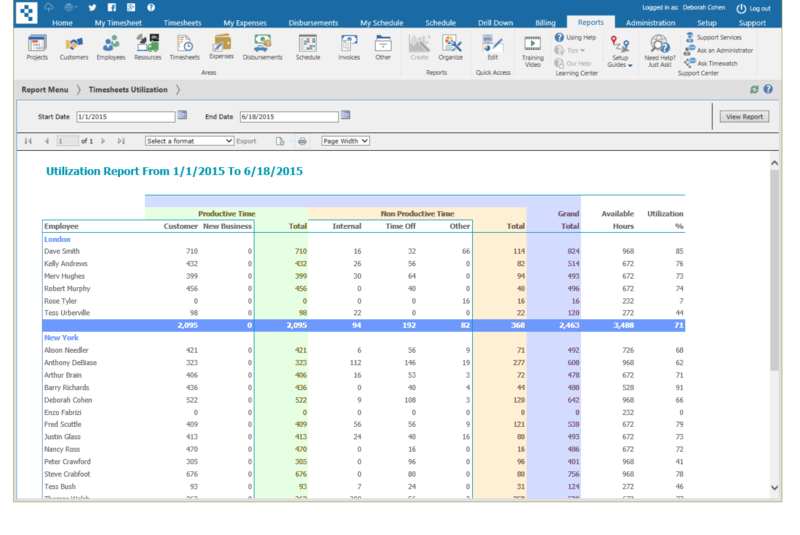 Users can export to Excel, Word, PDF, and email as a standard. 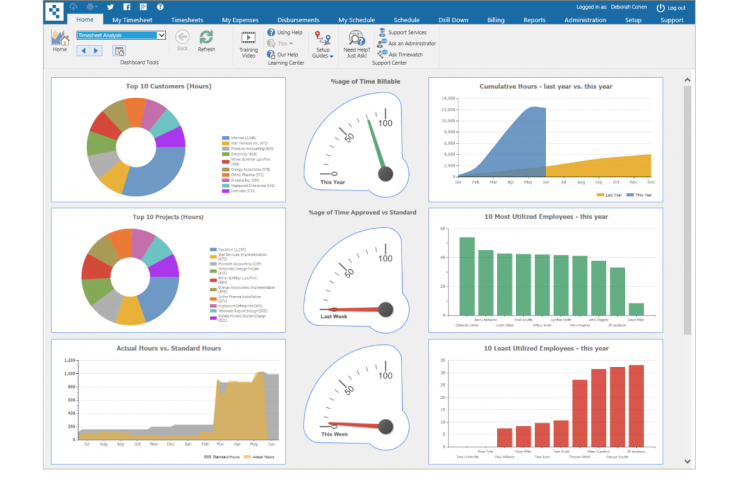 There’s also our unique drill down reporting tools, dashboards, auto alerts, and custom reporting options. Watch the Timewatch web timesheet software demonstration. Gives full details on timesheet features. The Timewatch iPhone web timesheet app is a beautiful. Responsive design means it works perfectly on all iphones. The system is a beautiful fusion of timesheet entry and reporting in one. Timewatch web timesheet software for tablets supports all browsers. Tablets such as iPad, Android and Surface devices. Track timesheets via tablet, anywhere. Our outlook timesheet turns Outlook appointments into timesheets. Runs inside Outlook. 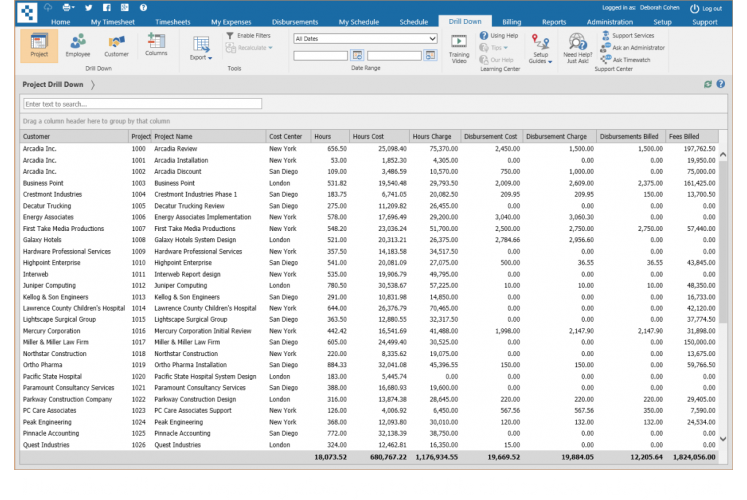 See our outlook timesheet system for more details. The choice is yours. You can even start in the Cloud, then move to On-Premise. Or vice-versa. Time® is designed to adapt as your needs change. Upgrade to a more advanced edition or add more users. Or, upgrade to Time®&Money to add costing and charging or to Time&Space to add scheduling. Sometimes you can only go so far with out-of-the-box features. That’s where Timewatch is unique. Our products are customizable. You can add features, APIs, and even customizable business logic and plugins to get a perfect fit. All Timewatch® products include a host of self-learning tools. Our Learning Center helps customers learn and implement our solutions themselves. Features include training videos, quick start guides and help tips. Our Support Center provides access to implementation, consultancy, and customization services. All Timewatch® products include a free learning center with training videos, tips, and support center. We also provide professional training and implementation services which we recommend for Pro and Enterprise systems due to their higher levels of configurability. Yes! All products include a free built-in support center and help desk system. Once you have decided upon your configuration and any professional services you need. We can then normally get you up and running the same day. Pro and Enterprise systems are highly configurable. They require knowledge and experience to configure, so a blind trial is not applicable. Instead, we work with you to learn exactly what you need, then match you to the best system. You can experience the system in a test drive or demo. Yes! You can start on one edition then move to another. Or, add or remove optional modules at any time. In this way you can grow your Timewatch system as your business grows. Yes! There are discounts for one-, two-, and three-year terms, volume discounts on the Enterprise range and we often offer promotions that you may be eligible for. Contact us for details. No problem. We have a range time tracking systems available. 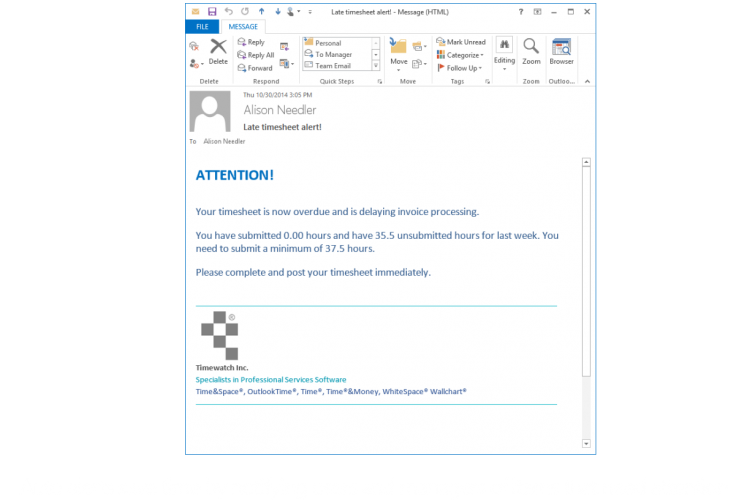 If you use Outlook you might be interested in OutlookTime®. 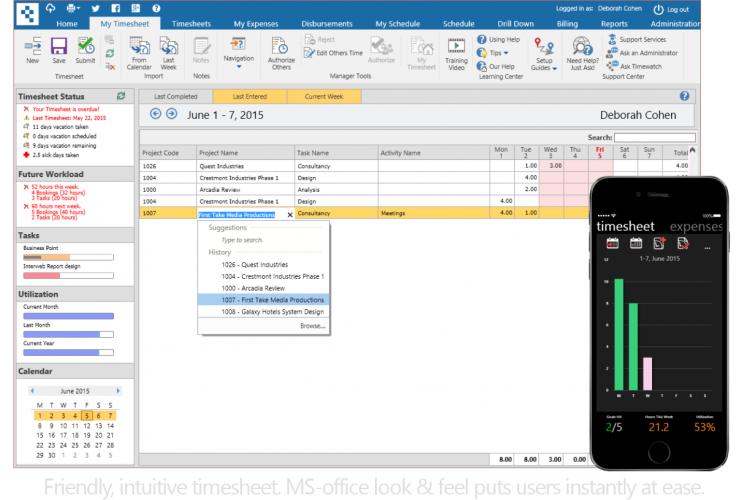 Turns Outlook appointments and emails into timesheets. Need more power and flexibility? The next step up is Time®&Money. Includes all of the features of Time®, with added features, such as: expense entry, time valuation and rating systems. Billing and multi-currency are optional. You can even add the Outlook timesheet option as well if you like. it can help your organization, please do not hesitate to ask.